India is set to cross milestones when it comes to its clean energy targets. The country has not only announced the largest clean energy programme with a target to install 175GW of clean energy capacity but has also pledged to phase out all single-use plastic bags by 2022. India generates about 25,940 tons of plastic which not only leads to pollution but is also dis-balancing the environmental scales. The NGT had imposed a ban on the use of disposable plastic in Delhi in 2017. Many Indian states have followed suit and are banning the use of single-use, disposable plastics. However, these bans have not been effective so far. It is difficult to cut plastic completely from one’s life. We have got so used to plastic that we fail to realize the great amount of plastic that we use in our daily lives and the plastic waste that we generate. That said, plastic can be easily replaced. Back in the old days, people would use cloth bags and store food in tin or glass jars. Plastic is the invention of the modern world. Convenience and low cost are its major USPs. However, other alternatives should also be given a fair chance to compete. It is a matter of the mindset and changing one’s habits. If people decide to completely shun plastic products or packages, companies will automatically switch to other means, as were prevalent in the yesteryears. Big corporations like Coco-Cola and Starbucks are already supporting the cause. In India, leading companies like ONGC and Hindustan Unilever have pledged to make their offices plastic free by 2020 and make their plastic packaging reusable by 2025, respectively. Several schools have completely shunned using plastic and are also encouraging their students to shift to other alternative biodegradable products. The plastic garbage is growing by the day. 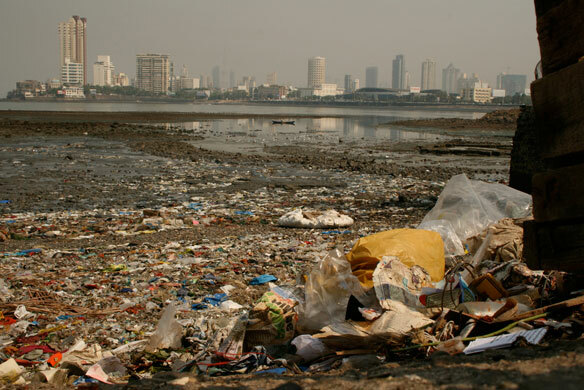 It takes close to 500 – 1000 years to degrade just one bottle of plastic. The plastic which is not degradable is disturbing the ecological balance.